Softalk Telephone Extension Cord, Plug/Plug, 25 ft., Ivory - Keep this phone line cord extension in your office or home to allow flexible placement of your phones wherever you may need them. Its 25' length allows you to conveniently place your telephone at the most optimal location for your room. 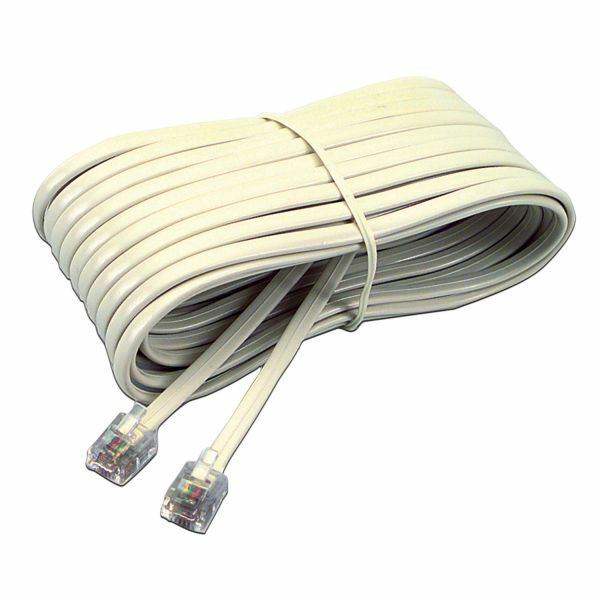 Plus, use it with your coupler to extend your phone line even further or use it to connect your cable modem phone jack to a phone line feed jack. With modular connectors on each end, this phone jack wiring fits standard wall jacks and telephones.